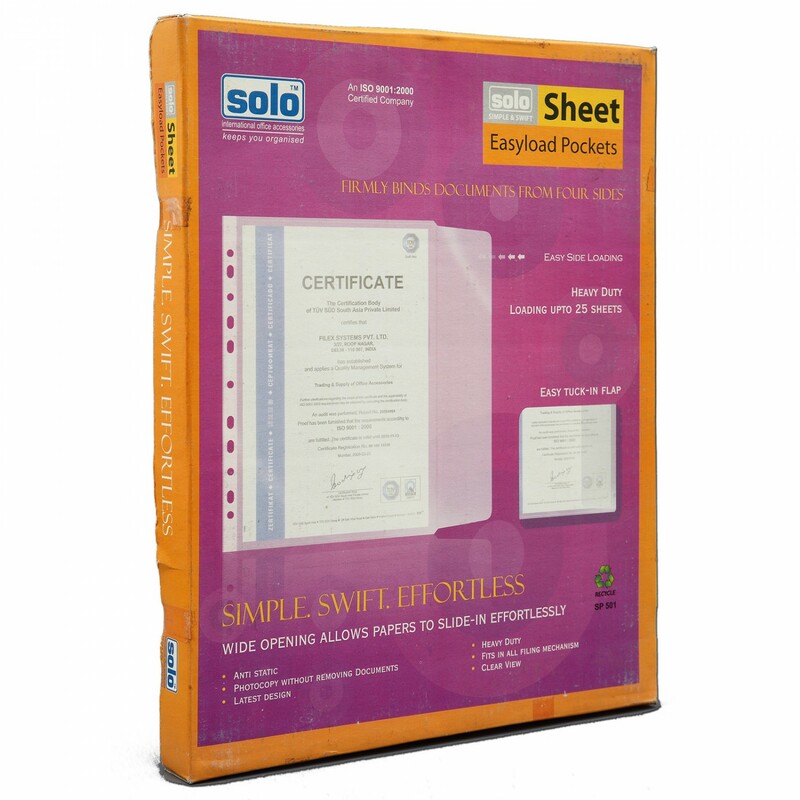 The Solo Sheet Protector is an A4 Size Compatible case and has a capacity of holding up to 25 A4 Sheets.This Solo Sheet Protector encloses the documents from all four sides and fits all kinds of filling mechanisms. 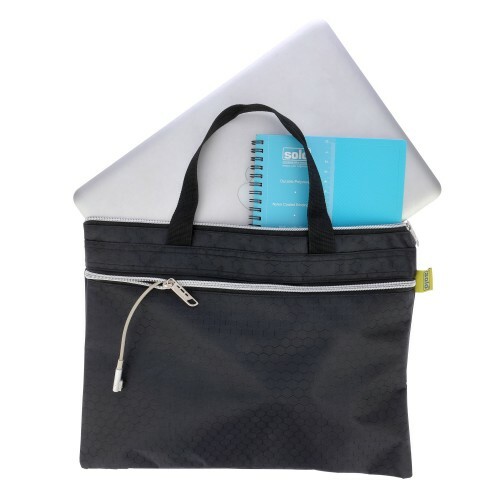 The Easy Load Pockets are made to be Anti-static so that the sheets are prevented from sticking to them. 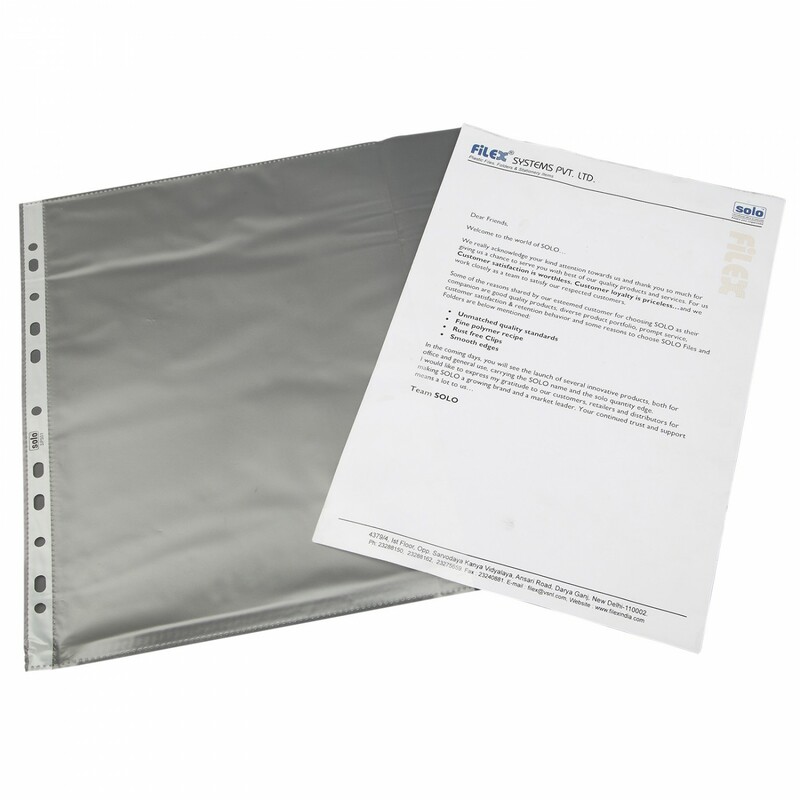 This Solo Sheet Protector is a unique side loading heavy duty sheet protector with a special large flap on the open side, which can be tucked in over the inserted documents. 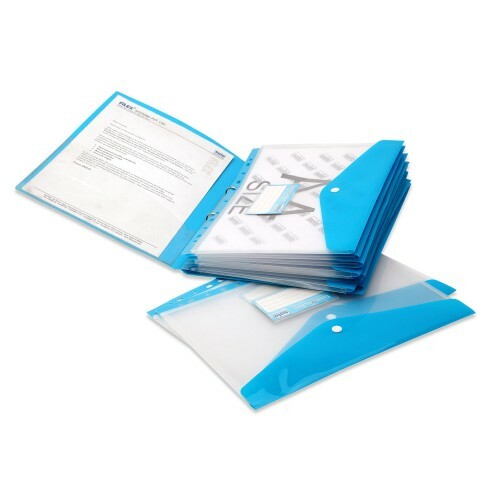 This Solo Sheet Protector holds the documents firmly inside and does not allow them to slip out. There is Ultrasonic Sealing at all the edges and the 11-hole universal punch has double reinforcement to make storage of the documents easier and convenient. This Solo Sheet Protector is ideal for brochures, receipts, maps, charts, reports, certificates, menus and photographs. Fits all kinds of filling mechanisms . Easy load pockets (sheet protector). 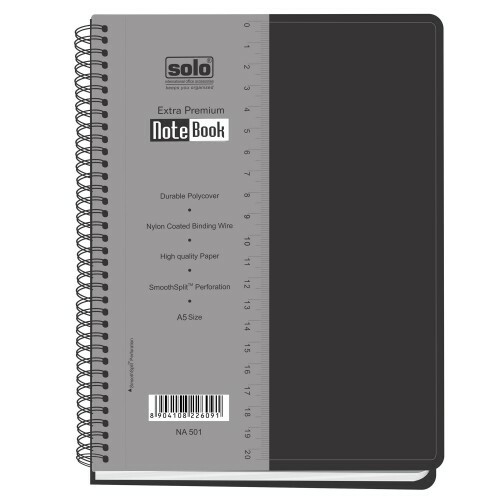 Unique "side loading heavy duty sheet protectors from SOLO. Holds upto 25 A4 sheets. Encloses the documents from all four sides. Special large flap on open side to be" tuched-in" over the inserted documents. heavy duty. 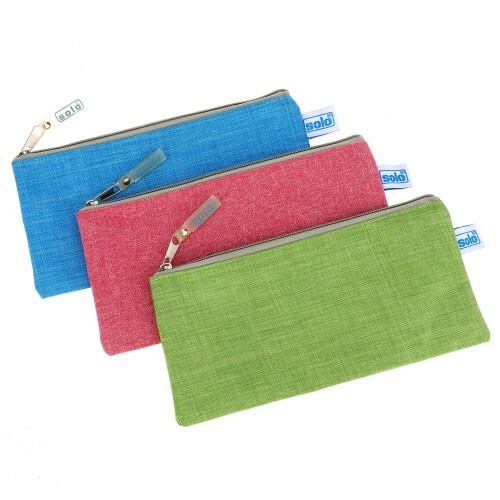 Each pocket holds upto 25 sheets. 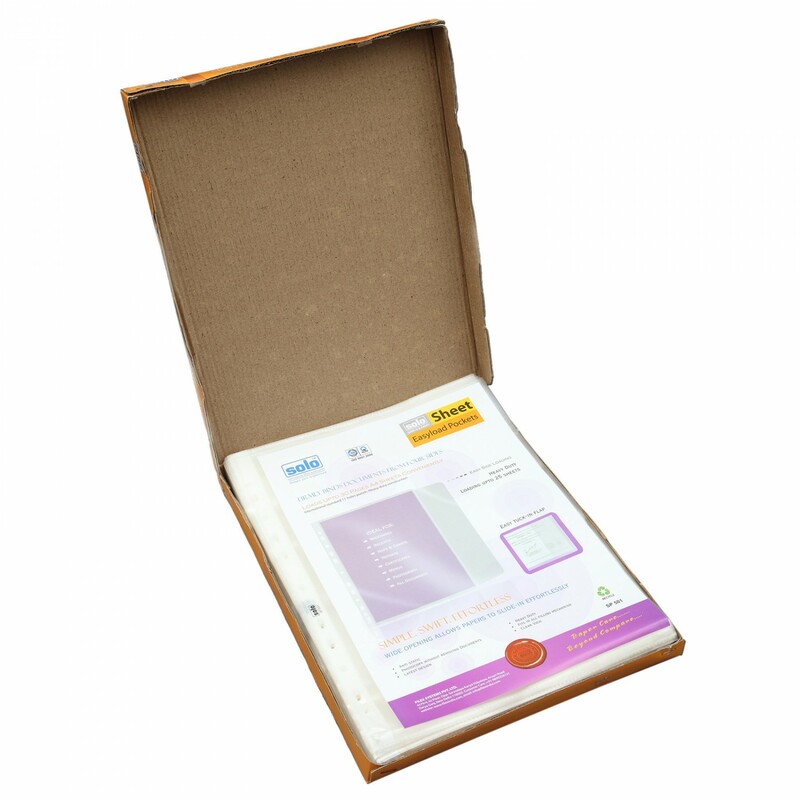 Ideal for Brochure, Receipts, Maps & Charts , Reports , Certificates ,Menus, Photograph, All documents. 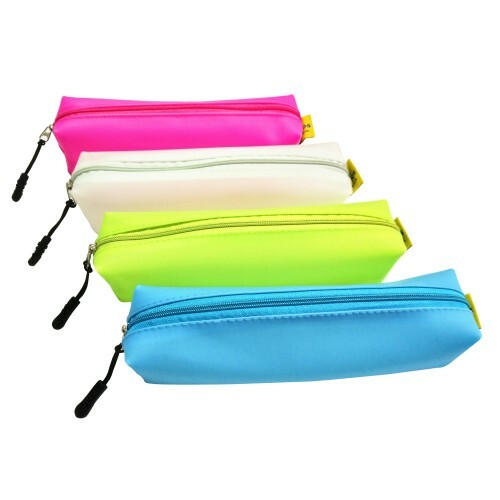 The latest edition of th..
Zipper ClosureSafe for children'sStudent Pencil Box becomes a pleasure to use if it also looks good,..